Tracie’s role as the Lead for the Canine Cancer Detection team is to develop the training methods for the dogs in a way that ensures they are smelling cancer compounds. 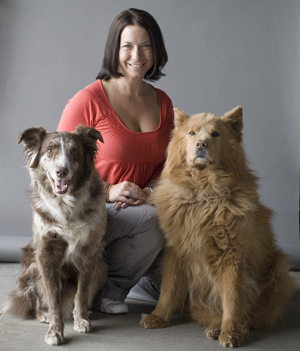 Tracie has had to rely on her expertise as a trainer, the summation of her experience founding and running the successful clevercanines business, and research. 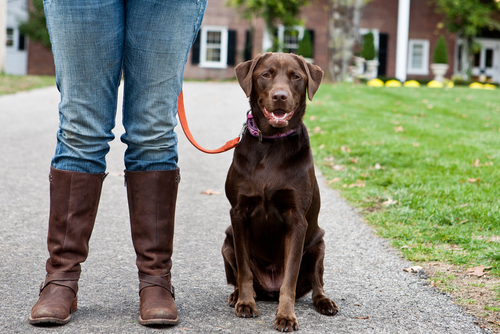 Her deep understanding of canine behavior is an invaluable asset to screening prospective dogs and helping dogs with the right aptitude reach their potential. She has developed all of the training protocols for the cancer detection research study and established the standards for success to create a viable cancer detection program. 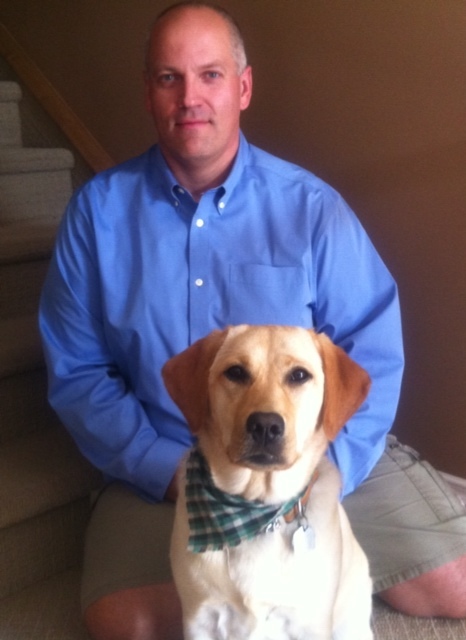 As a lifelong student of canine behaviour, Jenny brings a balance of dog sense and business sense to her role. Her hands-on dog training experience as a clevercanines instructor gives her the ability to help the canine team uncover their natural abilities and instincts for using their nose. And her strong organizational skills ensure that the details are looked after. A passionate dog lover, she is committed to ensuring this team can help save and improve the lives of those affected with cancer. Alan’s background in accounting provides the team with the attention to detail necessary to scrutinize details. Alan’s computer skills and knowledge of spreadsheets have enabled detailed and accurate collection of data that is crucial to success of the research. Through his collection and management of research data he is able to help support the team with information to optimize training conditions and enhance the repeatability of positive detection. He is skilled at helping identify the successful and limiting factors unique to each dog, creating conditions for success. With an engineering background, Christine’s technical background and critical thinking skills make her a problem solver on the canine cancer detection team. 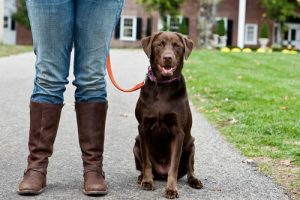 An experienced clevercanines dayschool trainer and assistant instructor, she has a good instinct for canine behaviour and a positive way of interacting with clients. More than just a “day job”, her work on the Canine Cancer Detection Team is a fulfilling way of creating a positive impact in the lives of many people affected by cancer. Expect the unexpected when it comes to Axel. He is slow and methodical, and if someone didn’t know any better, they would think he was shy. However, tell this dog what he needs to do to get a cookie, and watch the magic happen! Axel breaths in so deeply at each station that it’s audible. He will take his time digging through the scents before making a decision, and leaves behind his signature of thick drool. 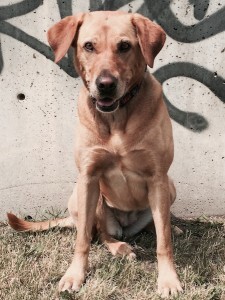 Cedar is a graduate of the clevercanines pupstart and core programs, and travels all the way from Cochrane five days a week to be a part of the cancer detection team. When Cedar is given her command to go to work, she literally leaps in to the air with excitement! A graduate of clevercanines pupstart and core programs, Comet has been in the cancer detection program since August 2014. His favourite reward is treats. Comet’s natural alert is to drool excessively while licking the correct sample, which through training, he no longer does. His trained alert is to sit in front of the correct sample. Comet is incredibly thorough, often going up and down the row of samples several times before selecting the correct station to ensure confidence in his decision. He is incredibly diligent and has a strong work ethic. Foster has been in the cancer detection program since June of 2014. His favourite reward is treats. 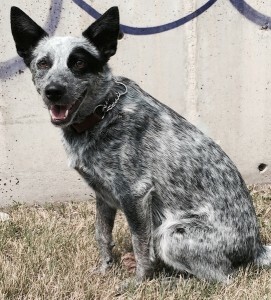 Foster has been trained extensively by clevercanines staff. His natural alert is to wag his stumpy tail and stomp his front feet. His trained alert is to sit. Foster loves to work. In fact, weekends find him longing for the activity of his “job”, often sighing to express his boredom. He is a relentless “pleaser”, and is very sensitive about correctly identifying a sample and gets frustrated when he doesn’t. But he’s always ready to come back to work and start fresh! 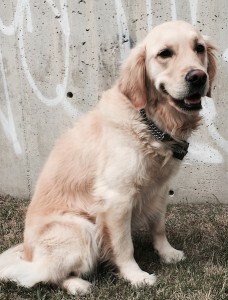 Gracie is a graduate of the clevercanines jumpstart and core programs. Her favourite reward is the ball. She has been in the cancer detection program since June 2014. Her natural alert is to stare at the station and her trained alert is to sit. She is an enthusiastic dog with boundless energy to work. She has an incredible sensitivity to sample stations and a strong desire to please. 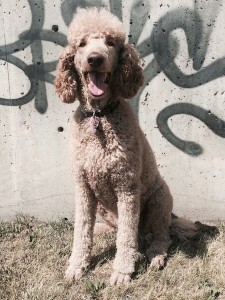 Harley is a graduate of the clevercanines pupstart and core programs. She is the youngest member of the cancer detection team, starting the program in July 2015 just months before her second birthday. Although, young, free-spirited, and very wiggly with enthusiasm when it comes to working Harley transforms to this focused, determined, calm, strategic workaholic! 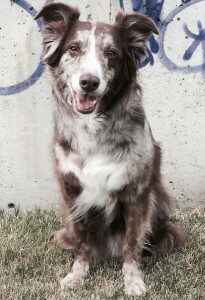 Syn is a graduate of the clevercanines core program. Her favourite reward is treats. Having a job is particularly beneficial for Syn as her strong drive to do something, anything, can often leave her over-exuberant at home or on walks. At “work” Syn is incredibly focused and has made searching for cancer look easy. 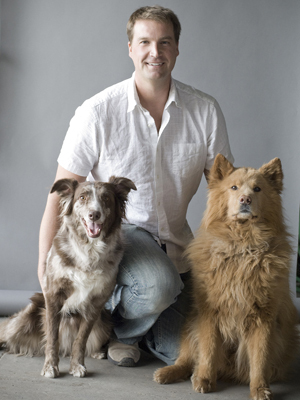 Our team is committed to ensuring the success of each dog. We work diligently to adapt our methods, try different rewards, even ask for the support of the owners to ensure success. However, just like humans, there comes a time when it is OK for our cancer detection dogs to step back from the hard work. This is always a sad day for the team who has developed strong bonds with, and truly loves, each of our canine teammates. With each stage of training, complexity increases. And problem solving for a dog is extremely challenging. In most detection dog training work, the average success rate is 4% to 24%. This can be above 50% if the program breeds and trains its own dogs from the time the pups are born. Our training methods are based on canine behavior, openness to a variety of methods and techniques in order to individualize training for each dog, and owner support. As a result, our program boasts a success rate up to 40% . Our retired dogs have worked tirelessly during their training and reached significant milestones. They have been released from active duty to allow the next generation of detection dogs to continue working from where they left off. We believe that they have earned the privilege to be honoured here as valued members of our cancer detection team. And their incredible owners also deserve recognition for allowing us to have their dog all day long, living with restrictions, and above all, raising incredible dogs capable of assisting us on this exciting project. 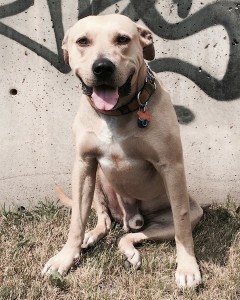 Howie is a graduate of the clevercanines jumpstart and core programs. Howie loves to play, so his favourite reward was to play tug with his handler. His abundance of energy was demonstrated through strong frustration when he was inaccurate, and extreme exhilaration when he was correct. Experiencing both extremes of the energy spectrum with Howie made him always exciting to work with. 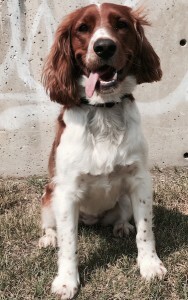 Oscar is a graduate of the clevercanines jumpstart and core programs. His favourite reward is the ball. Oscar was always keen to please when he was working and had a sweet disposition. With one of the keenest noses of any dog on our team, we had to purchase identical brand new testing stations with ball holders as Oscar could identify a ball holding station, even without a ball, from a regular station! This was an expensive endeavor, yet a testament to his gifted nose!